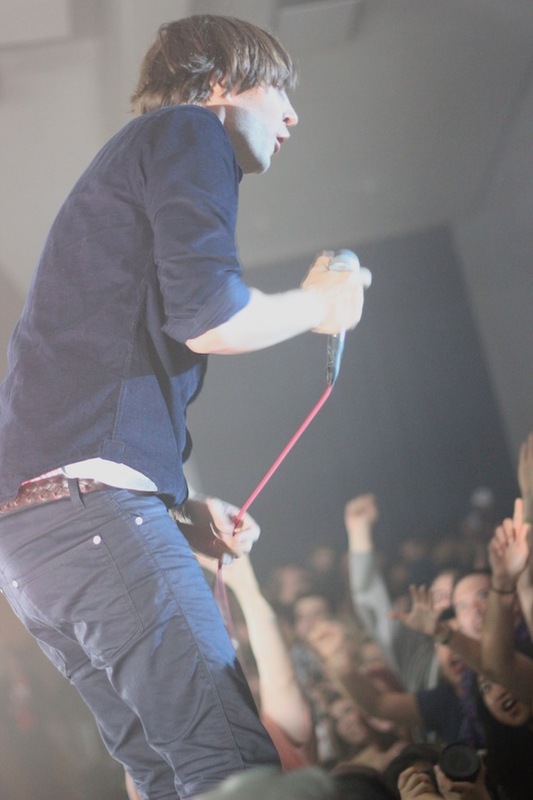 Tuesday night”s show with Phoenix and Mac Demarco at UC Davis was great, and really weird. It was our first time catching a show at Davis” Freeborn Hall. 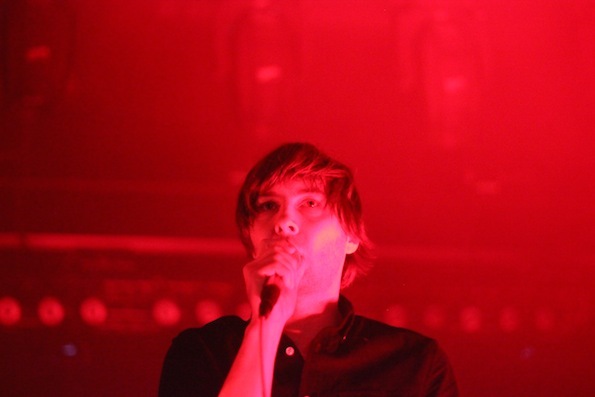 The venue was easy to access and super clean – maybe too clean for a normal rock show, but Phoenix isn”t a normal rock band (more on that later). Montreal”s Mac Demarco opened the show, and was goofy and engaging. He had a huge year in 2012, releasing both Rock and Roll Night Club and 2.2 is especially excellent, easily one of the best albums of last year. Demarco is able to deftly mix soul and classic lo fi. He had some pretty sweet dance moves and is known for having wild sets, but he kept it PG13 for the mostly college crowd. After his set, we went to grab an adult beverage, only to find out that it was a “dry” venue. No drinks at a rock show? Very strange and way too clean. 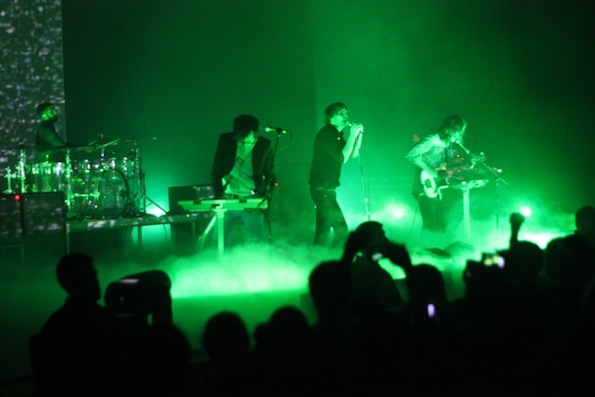 Phoenix has been prominent since 2006″s It”s Never Been Like That, for a band as popular as they are (they”re headlining Coachella this year if you”ve been living under a rock), UC Davis was an odd choice given all the options in San Francisco. A week before the show in Davis, they announced a surprise show at the Independent in SF. A glance at the setlist showed “The Independent” letterhead, so the fans at the Davis show weren”t missing anything (besides adult beverages). the stage to Beatles-esque hysteria from the young crowd and broke into “Entertainment,” the first single from their forthcoming record Bankrupt! The band smiled and seemed impressed by the love they were getting. You don”t normally associate the French with rock and roll. They do electronic music, cigarettes, and pastries, not rock. But as previously noted, Phoenix isn”t normal. For a band that speaks English as a second language, they write some of the most transcendent lyrics in rock music. 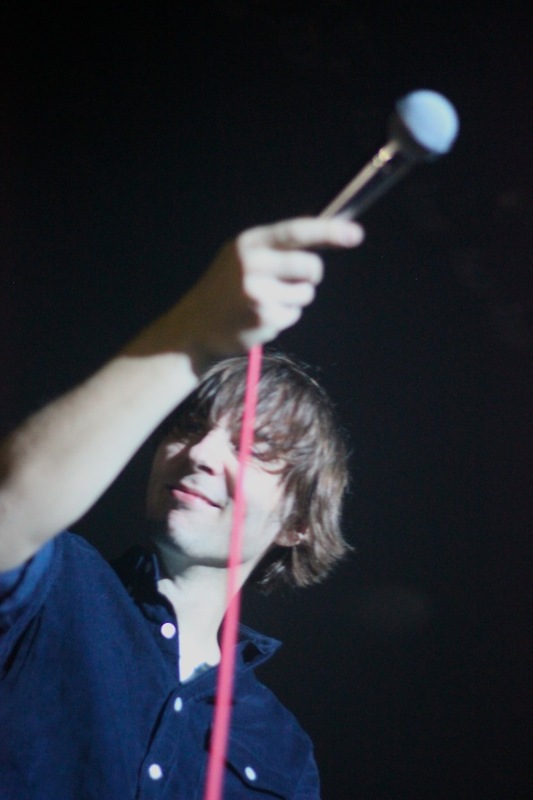 Thomas Mars, climbed on the speaker to see and be seen by the crowd, and they played new and old material alike to a great response from the crowd. Then Mars crowdsurfed as the band picked up the pace. After what seemed like ten minutes, Mars finally made his was back to the stage to finish with “Rome.” The crowd loved it, and it was a really fun show. Good, clean, sober fun.